Fourth meeting in the frame of Grundtvig programme held in Barcellona Pozzo di Gotto (Sicily, Italy) from 4th to 5th July organized by NGO “A Rocca” has successfully finished. Our organization was very pleased to welcome and host this meeting in the dreamlike place Jalari Park Museum. The topic of this meeting was, nowadays extremely important and current topic, internet communications. 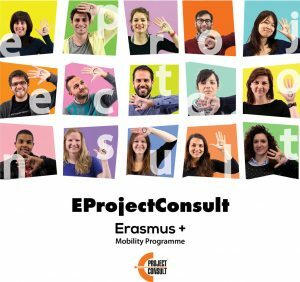 So long as we know it’s all about sharing, therefore we – two interns in the EprojectConsult and A Rocca companies – want to share our impressions about last week’s meeting. For both of us it was a great pleasure to meet all project partners and to be part of the knowledge exchange process. We were glad to have the opportunity to discuss the issue that affects so many people and companies nowadays like the internet communications. At beginning, it was very knowledgably experience because first of all the term open innovation was something never heard before, as well as the tools of the open innovation such as the outsourcing, crowdsourcing, crowd funding and co-working. In our opinion the main concept behind open innovation is the sharing ideas, opinions and whatever with the others, so this just illustrated the current processes all over world. We all in the facebook love to share and like hundreds of photos, posts etc. every day. Generally, the companies should do the same in order to become more competitive and updated. After coffee break, we discussed the tools and challenges which company is facing when it has to deal with the internet innovation, especially when insuring the online visibility like the internet search engine tools, online journals, RSS, Podcasts, e-mail marketing, viral marketing, widget marketing and mobile marketing etc. It was for a first time when we heard many terms widely used in marketing and customer engagement, particularly the gamification, augmented reality and others. Very fascinating module of the meeting was the part where the partners presented the best practices by giving the examples of the existing companies, which are working by using some of the open innovation tools, e.g., the design project Fattelo! another original examples. We appreciate the openness and competency of the participants, hence we learned many new ideas and above all, we got the inspiration and ideas about our final thesis and maybe our future enterprises. After all, we want to share with you small video with very nice Sicilian music!